It’s an unfortunate truth — about 95% of patents granted never make the transition from promising idea to income-producing reality. But it doesn’t have to be your truth. 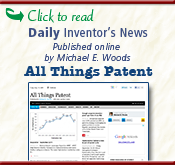 Serving inventors in Silicon Valley, San Francisco, and throughout California, patent attorney Michael E. Woods has written hundreds of patents, many of which have been successfully licensed and litigated. And, he has seen his clients collect millions of dollars based on them. It’s a level of success most patent attorneys can only aspire to when writing patent applications. 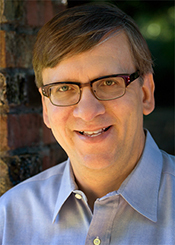 A solo practitioner with more than 20 years of experience in large San Francisco law firms, Michael offers his superior service including off-site backup of your important files and automated document management, without the big firm rates. And, you will never be handed off to a less experienced attorney or patent agent — YourPatentGuy is with you from start to finish. A patent search is always necessary, right? Owning a patent means your idea will not be copied. As YourPatentGuy, Michael’s aim is to help you become savvy about the patent process. In his free Inventor’s Guide he reveals 10 costly misconceptions about filing a patent application and gives you valuable tips for avoiding common patent filing rip-offs. Keep up-to-date on patent-related topics on Michael’s blog, his Twitter page, and his online “newspaper” All Things Patent.